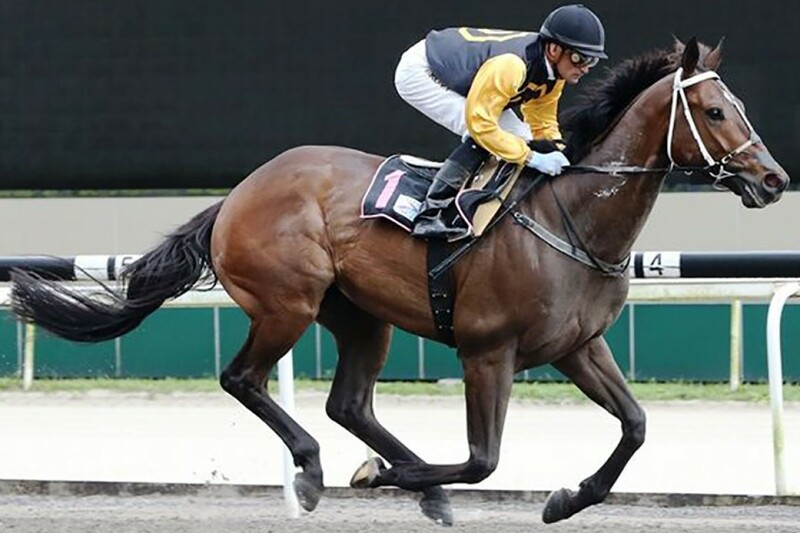 Maine Chance-bred Time Odyssey was rewarded with his first Gr.1 black type this past weekend when he ran out a game second in the Dester Singapore Gold Cup at Kranji, the third leg of the Singapore Triple Crown. In a slow-run race, the Pat Shaw-trained five-year-old chased home long-time leader Bahana (Elusive City) and fell short by no more than a length and a half, at the line. Far superior on the polytrack – he has recorded five of his six wins on the synthetic surface – it is somewhat ironic that the gelding picked up his black type on the turf. A R1.6-million yearling graduate, he hails from the final crop of his illustrious sire, Jet Master, and is out of the Irish-bred Spectrum mare, Tachina. Tachina is also the dam of the high-class, homebred Tellina (Silvano), a Gr.2 winner and multiple Gr.1-placed runner in South Africa and Germany, and Zimbabwe stakes winner Tibouchina (Black Minnaloushe). Time Odyssey, owned by Avengers Stable, joins Flax and Ato as the third Maine Chance-bred runner to excel at the top level in Singapore. Flax (Silvano), a little prize-fighter for Dennis and Gael Evans’ Newbury Stable, claimed his highest accolade in the Gr.1 Raffles Cup, while Ato (Royal Academy) carried the Newbury silks to victory in the Gr.1 Kris Flyer International Sprint.